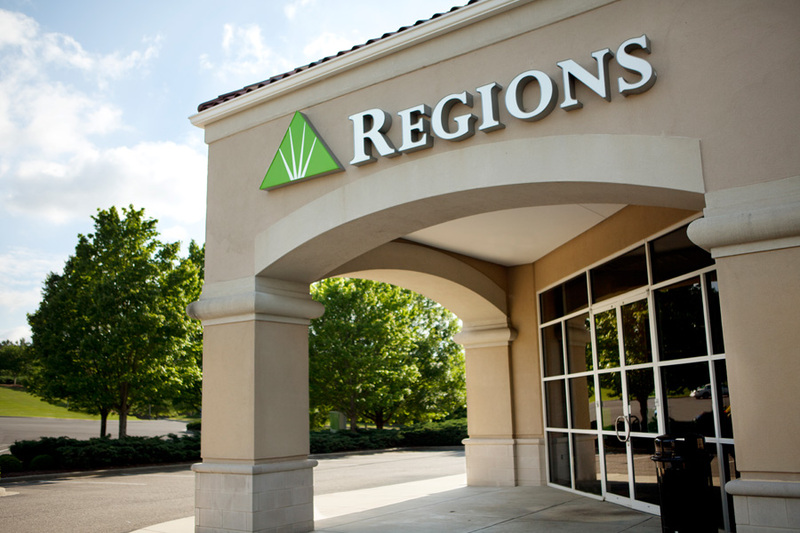 Regions Financial Corporation is a US banking and financial services company. It is publicly traded on the NYSE:RF and is based in Birmingham, Alabama. In 2014 the company’s net income was reported as US 1.15 billion. With over 23,000 employees there are over 1700 branches in the SW United States. If you have a problem with your Regions account or service you may call 1-800-REGIONS (1-800-734-4667). You may also find useful online help here. If you would like to contact the CEO, Grayson Hall, you may address postal correspondence to him at 2050 Parkway Office Circle, Birmingham, Alabama 35244. The corporate phone number is 205-326-5120. Founded in July 1971 the original company name was First Alabama Banc Shares. It is the only Fortune 500 Company listed in Alabama and has ongoing community engagement. Social presence may be found on Facebook, Twitter and LinkedIn. I have paid about 3000 dollars or more from december to april 2019, all I have asked is to wave of my bank for NSD and other bank charges for only one month from march to april, all regions could manage is cut 72 dollars , I have not even asked for full refund as I know I have to pay for the bank service , but regions is so horrible that they cant even wave off one month fee , the staff is horrible they laugh at your situation, I would not recommend to use regions service to anybody cause when.i had money the staff was welcoming now when you have downs in life the bank will not cooperate even for a month . I don't like to complain I love Regions Bank but I'm very disappointed in why did the hours change I work at 8 to 5 job..
And probably 70% of the time the ATM cannot read the checks and I have no way of cashing my check's unless I go to Walmart or amscot which is costing me money that's why I have a bank account. I can't always get to the bank on a Saturday that is the only day that I have off and they're only open until 12 or 1... I just really don't understand the bank hours no other bank closes that early. Recently, someone stole my wallet with All my personal information. I immediately notified regions and at that point realized that the thieves had already made a withdrawal. I went through the process of filing a dispute and put a freeze on my accounts. Within that time frame, the thief walked into a branch trying to get more money, thankfully my account was frozen. Nothing was done to them and they were able to walk out the bank freely, although they were attempting to commit a crime. The first dispute I filed was a month ago for a large withdrawal. I since opened new accounts with Regions and continued banking with them. A week ago another large withdrawal was made, INSIDE a branch. At this point I’m concerned and do not feel safe with banking with Regions anymore. I am not pleased with the way Regions have handled my current case. I still haven’t received a reimbursement for my first dispute, which was a month ago and I had to file another one. Throughout this entire process, I haven’t been informed of the status of my case or anything. There should be more security put in place so that things like this will not continue to happen. I have been a customer over the last 10 years and I am very disappointed with the way I have been treated. I feel very helpless and don’t feel like the employees have been doing all that they can to rectify this matter. I was never informed I would start being charged a monthly fee. When I signed up I opted out of over draft and was assured that. Next thing you know there is an over draft fee. I call The Georgetown location and spoke to Tina. She had no intentions of helping me solve my issue. She even walked me through how to cancel and that is what I'll be doing. After all the 1877 number with customer service helped me. I received my sons income tax check at my residence in Clanton AL. He had recently moved to Milton FL. He asked me to sign his check for him and deposit it in my account. I was informed at my local branch that he had to be present to cash or deposit it since it was a govt. check. I drove the 250 miles to Milton and we went together to bank since I had also endorsed check. We were asked into the office of Wendy Richardson. I explained the situation to her at which point she became very irate and informed me that I was not allowed to sign for him. She went on to berate me in front of my son and made me feel like a criminal. She then spoke to another lady in other office and informed me I would have to use 3rd party system to cash check and not deposit it. She was very rude and unprofessional. We both had Ids . She asked my son for his signature to compare. If there was a problem depositing check, why was there no problem cashing it and charging my son nearly $75 dollars to do so? I have had a regions checking account for years. She needs customer service retraining, at the least, and possibly anger management, but in my opinion should be terminated immediately. I am sure im not the only person she has demeaned. Thanks, James Holcombe 205-928-0109 . I look forward to hearing back from your company regarding this issue. 1) When I arrived, Ms. Nunez did not even acknowledge me. I waited well over 15 minutes before she did so. 2) Being annoyed that I wasn't even acknowledged, as well as, being disrespected while I was there; I gave Ms. Nunez the original document when she did finally see me. 3) In addition, I wanted to ask Ms. Nunez about the deceased depositor's account, knowing that there was a beneficiary AND that Social Security was to take out a portion of the monies for January (approx. $1223.00). This Regions account was closed out on Jan. 29th, per the bank statement we received. As the executor of the estate and for my executor records; my question was going to be to Ms. Nunez, "Can you please tell me if Social Security received their monies for January's deposit when Regions closed the account, or did the beneficiary receive the monies? Ms. Nunez's attitude and demeanor totally changed. She then said to the effect, "Well, I can't give you that information until I have documentation that you are the Executor." Ms. Nunez never told me via phone or email what documentation she I needed in order to speak to me about this account! I never would have dropped off the certificate if I also need a copy of the will to show I AM the executor of Ms. Mann's checking account. Ms. Nunez was already aware via past emails and phone calls that I was the executor of Ms. Mann's estate. She spoke to me willing in the past regarding this checking account BEFORE Ms. Mann's passing. Now she can't, especially know I was the executor? Ms. Munoz never asked me for a copy of Ms. Mann's will in the past when she was discussing this account before and/or after Ms. Mann's passing. I could have gone home after our meeting and scanned the will to her attention before close of business today. It was just a simple "yes" or "no" answer about the social security issue. Ms. Nunez's refusal to speak to me on this issue was not acceptable to me whatsoever, let alone her disrespecting me when I initially arrived at the bank. Tell me, how can you hire someone that does not provide the necessary information needed for the customer to handle a banking situation? Bad enough Ms. Nunez did not return many my phone calls in the last few weeks regarding this matter, but to NOT tell me what I needed for this meeting is not acceptable to me. Her last email to me was, "Need a death certificate." That's it. If this is the kind of incompetence that Regions Bank hires, I'll take my future business to another bank. What happened today was not acceptable to a customer who had a tentative appointment, that drove over an hour to meet with your a member of your team, only to be disrespected and not given the information needed to complete an executor's responsibilities. With above said, I would appreciate a phone call on this matter. I no longer want to deal with such an incompetent person and I need to know whom do I speak to regarding my questions,- of course, after I have the will in the hands of Regions Bank? I am wasting more of my time with Ms. Nunez, let alone, having to go back again to deal with this issue. Your prompt reply to this complaint is greatly appreciated. I am still without a definite answer to the status and settlement of my account being compromised on 11/16/18 - almost three months ago. after several unsuccessful, not very helpful conversations with your customer service and protection center the day my account was hacked, i filed a statement of unauthorized activity on 11/17/18 at your kirkwood branch. the service was rather incompetent, as the representative in charge was not sure what form to fill out, then listed the wrong account number as well as possibly the incorrect trans code number, which i noticed later. i was told during the meeting and by phone the next day that I would receive credit within 10 business days. since I did not see any credit for the wrongfully charged amount on my account in december, i filed yet another statement of unauthorized debit on 1/2/19 with your temporary representative at the kirkwood branch, ricky zepeda. again, account number and this time my social security number were incorrect and the form had to be redone. again, poor service at the branch, no follow-up, no credit in 10 business days as promised. on 2/1/19, I was again at the branch inquiring about the status of the outstanding incorrectly debited balance, only to go through the same ordeal as before and to find out that it may have been the wrong form that was filled out the past two times. the conversation with your financial consultant resulted in the statement that she was going to look into the matter - for the third time - which was again confirmed in a follow up phone call on 2/4. however, up to this day i have not received a definite answer from anyone at regions on how to settle the unauthorized november charge on my account. i have been a regions' (and before independence) customer for a very long time with several accounts, but in all this time i have never experienced such an incompetent customer service and indecisive attitude which makes me doubt the effectiveness of your branch management as well as your intentions for good customer service where you "put people first." you understand that my trust in handling your customers' issues "in a timely and efficient manner" has been more than undermined and i expect a firm answer as well as reimbursement of the wrongfully debited charges to my account from your branch office by the end of this week. Regions Bank branch in Selma,Al.is the worst bank I have ever encountered. The tellers in the DRIVE -THRU are so unbelievably slow. They talk entirely to much. It takes at least 20mins to cash one check and that's on a regular day. They don't even apologize for the wait. The first week of each month is a complete NIGHTMARE. A minimum of 5 cars leave the bank at one given time. The female tellers have the NASTIEST attitude I have ever witnessed. I absolutely HATE to go to REGIONS BANK BRANCH in Selma,AL. on Highland Avenue for anything. I am leaving this bank as soon as possible. I would like a phone call on my experience at the regions bank in Ocala National Forest location. Branch 00255-forest. Here is a brief description of my experience. I went into the location to deposit a $14500.00 check from fidelity. I knew before I came in that it would take a few days to clear as it is a large amount. The teller told me on April 5, 2018 when I made the deposit that my funds wouldn’t fully be available until April 14th 2018. I was in shock and told her that seemed that a long time and I needed the funds at least by April 12th. I didn’t realize it would take that long. I told her I understood because of amount it would be a longer waiting period but I didn’t think I would have to wait until April 14th. I have been banking with Regions since I was 18 yrs old, I have two accounts with regions and I have cashed a fidelity check before. The teller excused herself to talk to someone in the teller area, She came back and told me that I could come back on Monday and see if another lady could clear the funds. The lady she was referring to was sitting at her desk in the lobby area where people come in and YELLED across the lobby “I am not authorizing any checks before it’s time.” I was so embarrassed I couldn’t believe she yelled across the lobby. I looked at my teller and said “I’m sorry, did she just yell at us across the lobby?” The lady then went behind the window and looked at my check and my accounts and asked “what is this money for? I told her it was for a vehicle and If there was any way they could verify funds and validate check by April 12th?” She said Fidelity is a reputable company and 401k loan was probably good but I would have to wait”. She then said “you know your going to have to pay taxes on this right?” I could not believe what was going on. I told her I am paying myself back plus 4.75 percent interest over two years “: Now all this is going on and there are people behind me waiting. I turned around and apologized to them. I was so embarrassed I just wanted to get out of there. Not only was I embarrassed but now the people behind me knew I was depositing a large sum of money. I would like a phone call and someone to go back to watch the video to validate my treatment. I never yelled, I wasn’t disresptful and as a loyal customer did not deserve to be treated this way, not to mention my business was thrown out there loud enough for other customers to hear. I am still mortified and waiting on my check to clear. I received a Regions Bank check from a client for training his German Shepard on November 3rd. The regions bank in Ripley told me the money would be available on Saturday November 5th. Since the branch in Ripley was closed on Saturday I traveled to the nearest branch in Covington Tn on Saturday morning and was told I could not get the money because there was not sufficient funds to cover the check. I called the man that wrote the check and he called his bank and the check had already cleared his account. Melissa Perez is the manager at the Covington branch and she told me that she was not going to help me because I was committing deposit fraud. There were several other people in line and was very embarrassing. Ed Presley, the man who wrote the check, from Dyersburg called Ms Perez and she was also very rude to him and would not answer any questions, not even about Regions company policy. I believe I have been discriminated against since there is no reason for them to hold the check. I then was told to talk with the Branch manager In Ripley who asked me what the check was for and why did Mr Presley write me this check. I do not feel that it was any of Mr Patrick's business why I had received the check or it was not legal for him to question me. He then called the Dyersburg first citizens national bank and was told the check had already cleared Mr Presley's account. Mr Patrick reluctantly gave me the money this morning after being questioned for a long period of time. Then when I got home I had received a letter stating that I would not be receiving my money until November 16th because of "confidential information that the check may not be paid". Again, I feel that I have been discriminated against because there was no reason for the check to be held and the check cleared Mr Presley's account the next day after I had deposited the check. I'm not sure if I need to consult an attorney or if this can be resolved with an apology from Mr Patrick at the Ripley Tn branch. Regions bank does not want to release my minor trust since I turned 18. This is a joke and customer service says it's company policy to review the account before going forward. As soon as I get my money I'm out. I did not receive a Regions bank statement for November 13-December 16 - now I cannot reconcile my bank account. A few calls to customer service showed me this bank has zero concept of support. I do not really trust Regions Bank after my recent experiences with their support website. I called the customer line and got put on hold for hours, imagine if there was a serious issue. Regions Bank stalled and are incompetent in refinancing due note and then lied and reported me late when they dragged feet. Got tired of waiting on them and paid off. Then they got mad lost business and reported as late, and are incompetent with a bit of vengeful petty. Will never bank with Regions again! Regions Bank gave me all the benefits and services for my monetary transactions like personal banking, online banking, paying online bills. 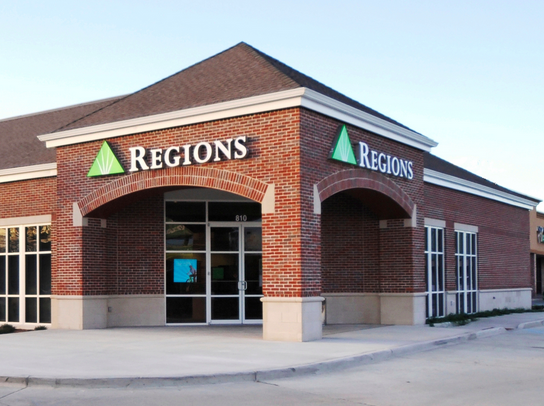 Regions Bank also has services extended to businessmen, commercials, credit cards, home equity, mortgage loans, mobile banking, auto loans, student loans, debit and prepaid cards and many more. Visa gift cards, reward points are complimentary to the privilege customers. Please do visit Regions Bank for your financial transactions and have a safer life with your family. Have feedback for Regions Bank?